the child device can't call, text or use cellular data; however 911 is always allowed. contactos de confianza can always call and text. 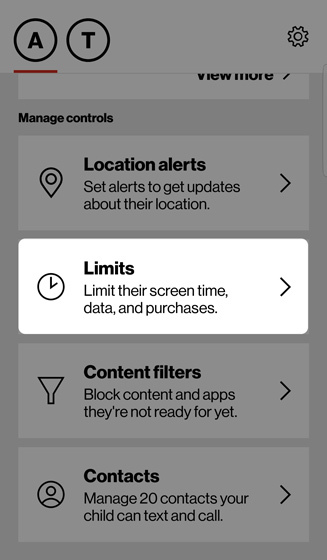 certain data services and apps (e.g., Data Usage Meter) are allowed. ensure the child device is powered off prior to adding or removing restrictions. En la sección Manage controls (Administrar controles), toca Limits (Límites). 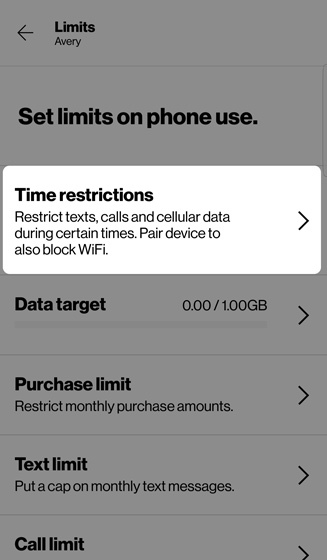 For lines on the justkids plan, tap Limit times for data usage to restrict data usage during certain times. Select (check) the days of the week. Configure the start and end time. 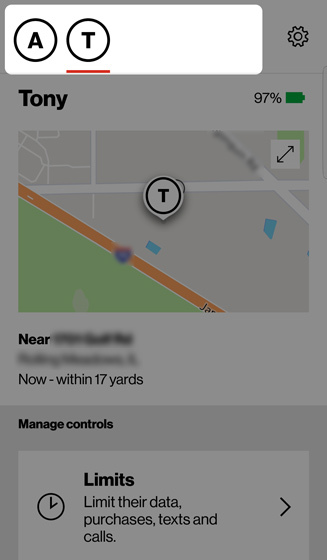 Tap Add a time restriction (at the bottom).